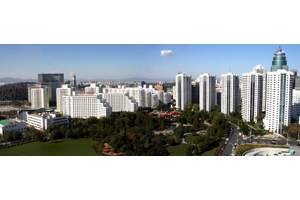 Founded in 1990 during the Asian Games and with over ten years of devoted operations, we have become the largest comprehensive property group in the northern Beijing region. Our floor space totals over <?xml:namespace prefix = st1 />600,000 m2, which includes 1 conference centre, 1 shopping centre, 2 hotels, 3 Grade A office buildings and 13 serviced apartment buildings. Beijing North Star’s investment properties enjoy comprehensive management, complementary industry chains, and a concentrated merchant base.As one of the three main projects in the Olympic centre, our total floor space is 534,000 m2,<?xml:namespace prefix = o /> including China National Convention Center, InterContinental Beijing Beichen, China National Convention Center Grand Hotel, North Star Century Center Office Building and North Star Legend Shopping Center. The high standards of operation of the China National Conference Center and its supporting projects will greatly raise the level of business among merchants in the Asian-Olympic business district. 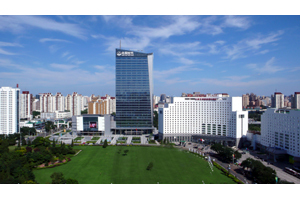 Driven by the China National Convention Center, we have realised management interconnectedness, increased property values, and rewritten the story of Beijing North Star’s success. High standards of operation raise the level of business among merchants in the Asian-Olympic business district. 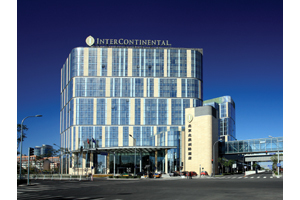 【InterContinental Beijing Beichen】A world-renowned luxury hotel brand with a fusion of advanced technology and high class living.